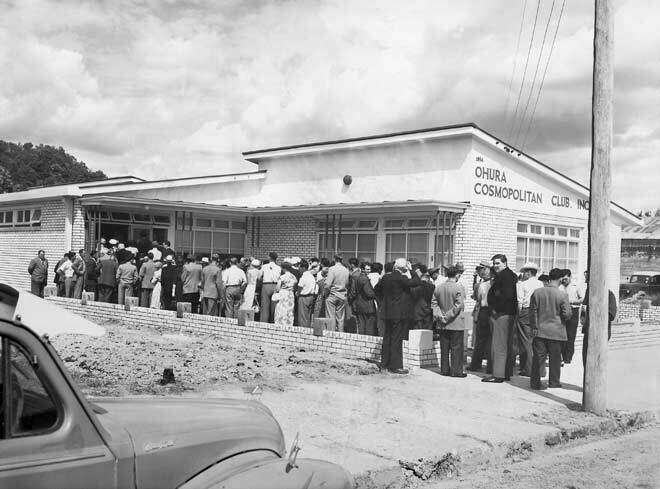 A large, orderly crowd files into the new Ōhura Cosmopolitan Club in 1954. It was an important event in Ōhura’s social calendar, not least because it was in the middle of the King Country dry area, which finally became 'wet' the year the club opened. Chartered clubs had in fact been able to legally sell liquor to members from 1948. Ōhura was prospering at the time, as suggested by the crowd.